This is a sponsored post written by me in conjunction with the July #ItalianFWT event. Li from The Wining Hour is hosting as the Italian Food Wine & Travel bloggers write about Chiaretto. You can read her preview here. But it was Mike - a member of the group, the force behind Life At Table , and co-founder of Pennsylvania Vine Company - who wrangled some samples from his contacts with the Consorzio di Tutela Vino Bardolino for this event. Grazie mille, Mike! If you're reading this early enough, join the group for a Twitter chat on Saturday, July 7th, at 8am Pacific time. Or you can follow the conversation at your leisure by searching for hashtag #ItalianFWT. 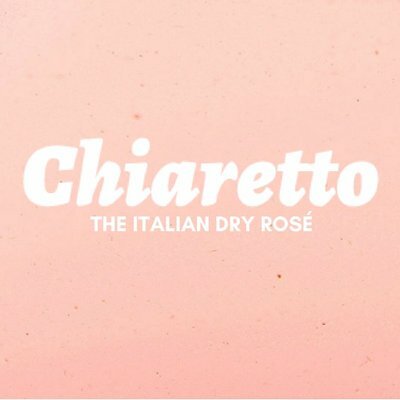 Deriving from the Italian word 'chiaro' which means 'light' or 'pale', Chiaretto is a crisp rosé made from red wine grapes using white winemaking practices. By limiting the juice’s exposure to the grapes skins, the color of Chiaretto remains light and pale. Chiaretto can only be made from the Bardolino zone bordering beautiful Lake Garda in the Veneto region of northern Italy and is made primarily from the Corvina grape which is also a key component in Amarone, Valpolicella and Bardolino wines. 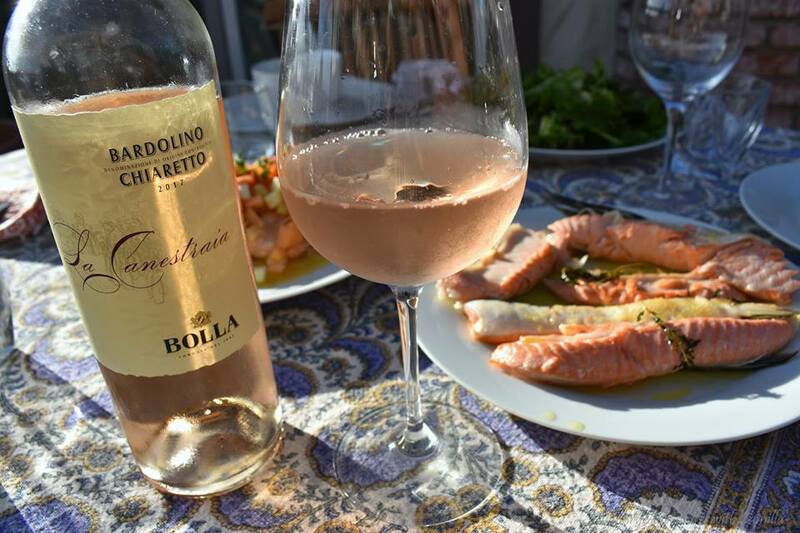 Jennifer at Vino Travels shares Lake Garda says Hooray for Rosé with Chiaretto. Mike at Life At Table suggests Rosé Fatigue? Try Chiaretto. Li at The Wining Hour pairs Chiaretto Classico and Grilled Shrimp. Camilla at Culinary Adventures with Camilla offers Chiaretto Poured with Local Catches. Gwen at Wine Predator declares The Key to Italian Rose? Chiaretto! Lynn at Savor the Harvest gives us An Italian Surprise You Must Get to Know. Wendy at A Day in the Life on a Farm says A Rosé By Any Other Name. Jill at L'Occasion posts Chiaretto Goes With Everything: Italy’s Versatile Rosé Wine. Katarina at Grapevine Adventures states A Chiaretto is always a Chiaretto ... a Valtenési not Bardolino. Lisa at The Wine Chef makes an Easy Quinoa Salad Paired With Chiaretto, A Delightfully Dry Italian Rosé. David at Cooking Chat is Discovering Chiaretto Rosé Wine and Food Pairings. Jane at Always Ravenous pairs Farmers' Market Pasta with Chiaretto di Bardolino. I had actually tracked down a bottle of Chiaretto on my own before the samples were arranged...and I had already cooked and served my pairing. But, when the two other Chiaretto bottles arrived, I knew I wanted to share a trifecta of wine-food goodness. 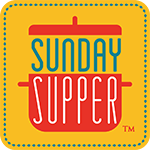 And, being members of Real Good Fish, a CSF (community-supported fishery) here on California's central coast, I decided that I would create three different dinners with local catches to pair with the seafood-friendly wines. Azienda Marchesini Marcello, a small family-owned winery, sits in the heart of the Bardolino district overlooking beautiful Lake Garda. I found a traditional recipe from the area that is usually made with trout - Trota agli Agrumi - and swapped out the fish with a local-to-me halibut. This wine is a blend of three indigenous Italian grape varieties - Corvina (60%), Rondinella (30%), and Molinara (10%). This gorgeous rosé offers vibrant berry notes with just a touch of sweetness. I found it countered the acidity of the citrus in the dish well. The Bolla 'La Canestraia' Bardolino Chiaretto sports a softer coral shade and uses the same grapes though I wasn't able to locate the exact percentages. I also wasn't able to uncover the reason behind the wine's name: 'La Canestraia' means 'basket-maker' if my Italian isn't too rusty. If anyone knows to what that name refers, I'd love to know. This wine has a strong presence with grassy undertones that play gracefully beneath red fruits of blackberry and currants. Again, the tinge of sweetness in the wine paired beautifully with a seafood and a pop of tart with the preserved lemon rind. My final pairing was Casaretti's Rosa Dei Casaretti, a classic Rosato from the eastern shore of Lake Garda. The boys helped me hand-roll ricotta gnocchi and I topped it with a simple salmon sauce made with salmon spoon meat. This wine fell somewhere in between the shades of pink and coral of the other two Chiaretto bottles I opened. It boasted fair acidity with a velvety smooth finish. 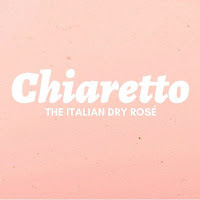 A dry rosé, Chiaretto has aromas and flavors that simultaneously fragrant and delicate...at least the three that I tried. But, I suspect, those characteristics persist throughout the offerings. I can't wait to read what the other bloggers found. And, with this event, Chiaretto cemented itself in my mind as a favorite summer sip...or anytime, really. I really enjoyed this month's exploration. Well, folks, that's a wrap on my Chiaretto pairings for this month's #ItalianFWT. Next month, the group will be focusing on Italian grapes outside of Italy with host Jennifer of Vino Travels. Stay tuned for more information about that. Cin cin! Great post Cam and three amazing recipes for me to try. Thanks, Wendy. Hope you do try the recipes. Let me know what you think. Cin cin. Wow Camilla, you provided us with several yummy recipes to pair with Chiaretto. I love fish, so I can’t wait to try them. Thanks! Can't wait to hear if you try any of them. Thanks, Li. What a fun month. Yes, I think the preserved lemon has a very different characteristic than fresh lemon. I love that you tried the cantaloupe-preserved lemon salsa. 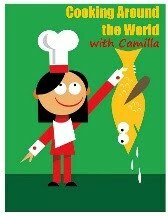 Camilla, I can't wait to try your recipes, I am a total fish lover and always looking for new fish recipes to try. Fabulous pairings! Thanks, Jane. We do eat a lot of seafood in my household! Thanks for stopping by. You chiaretto pairing fool ; ) 3 creative seafood dishes that I'm sure were delicious. Your pairings never seem to amaze me as well as your little chefs! Thanks! Yes, these were all delicious...and great matches for the Chiaretto. An extra couple of bottles of Chiaretto? Shoot! Love learning about the best ingredients from Culinary Cam.